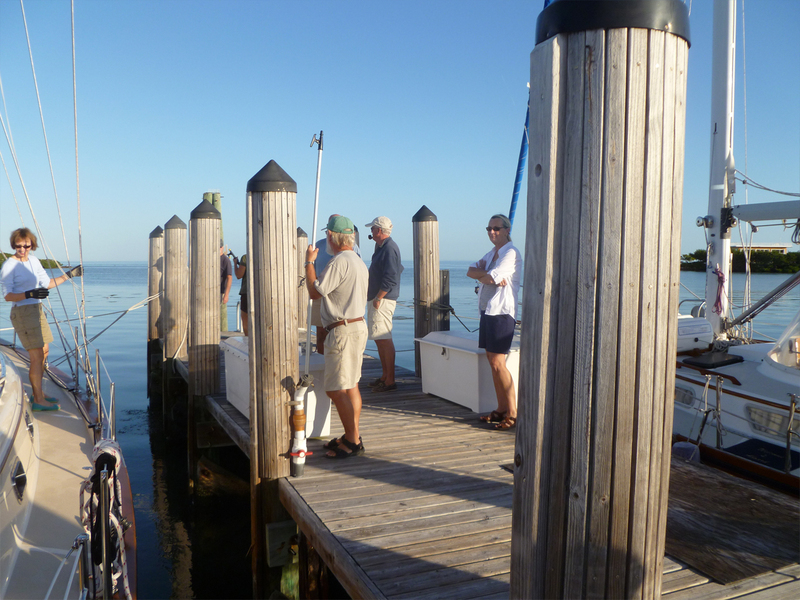 At 8 AM, a gathering of supportive slipholders at Harbour Cay Club assist with our departure. Cutter Loose passes between the Fanny Keys and turns northeast into the Intracoastal Waterway of Florida Bay. 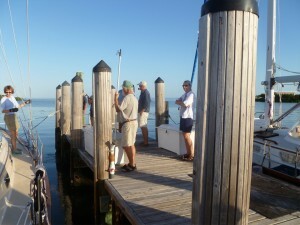 The wind today is out of the east at 8 to 10 knots. It is a day for motorsailing, as the wind angle is just slightly too tight to sail directly to Rodriquez Key without tacking. Florida Bay is a shallow body of water. In certain areas, depths at low tide are around five feet…too thin to accommodate the five foot draft of Cutter Loose. 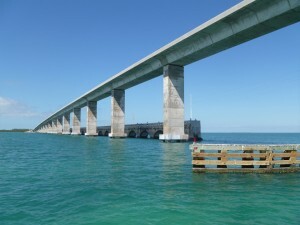 At noon, we pass under the Channel Five Bridge and enter the deeper water of Hawk Channel. The 138 foot lighthouse at Alligator Reef on the Atlantic Ocean side of Hawk Channel is clearly visible as we turn northeast from Channel Five towards our destination. 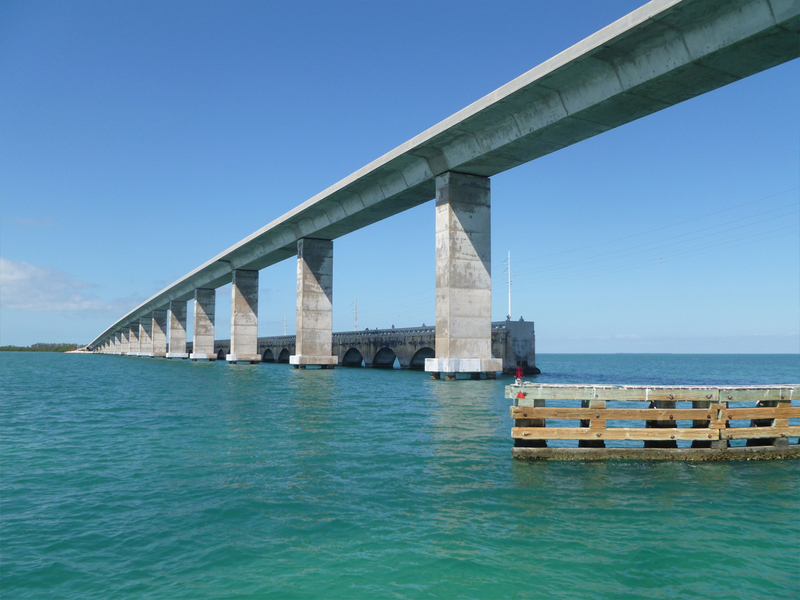 At 5 PM, the anchor is down at Rodriquez Key, a distance of 51 miles from Marathon. Cutter Loose is amongst a handful of other boats at this convenient stopover just off of Hawk Channel. Although our anchorage is exposed to the east, settled conditions ensure a peaceful night on the hook.